Friday was the last day of school before heading into our two week Christmas break so my book club ladies (who all teach with me) decided we'd have a little gathering at my place to celebrate the holidays & our friendship before heading our separate ways for vacation! I hosted the gathering because I live only 4 minutes from school which seemed like a convenient place to meet up! 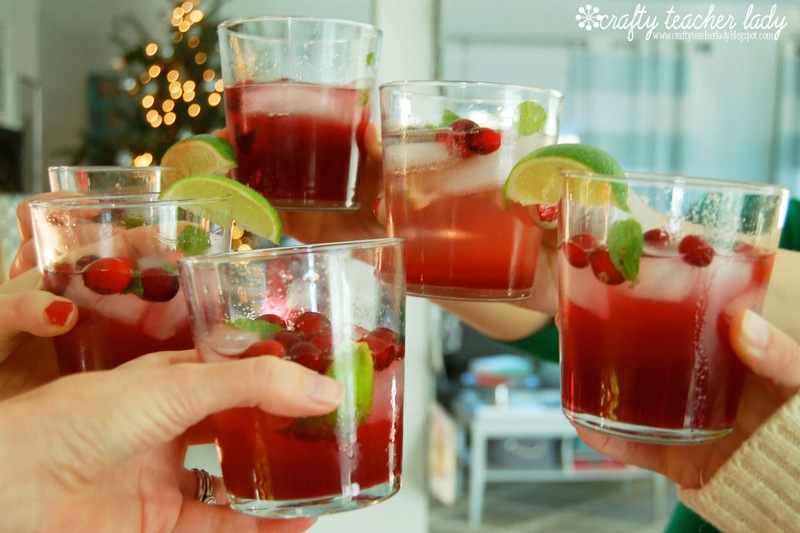 For our gathering I decided to try a recipe for Cranberry Mint Holiday Punch. Three of the ladies in the group are pregnant and I thought this would be a festive and delicious 'mocktail' to serve (I altered the recipe by using a caffeine-free mint tea). It did not disappoint! 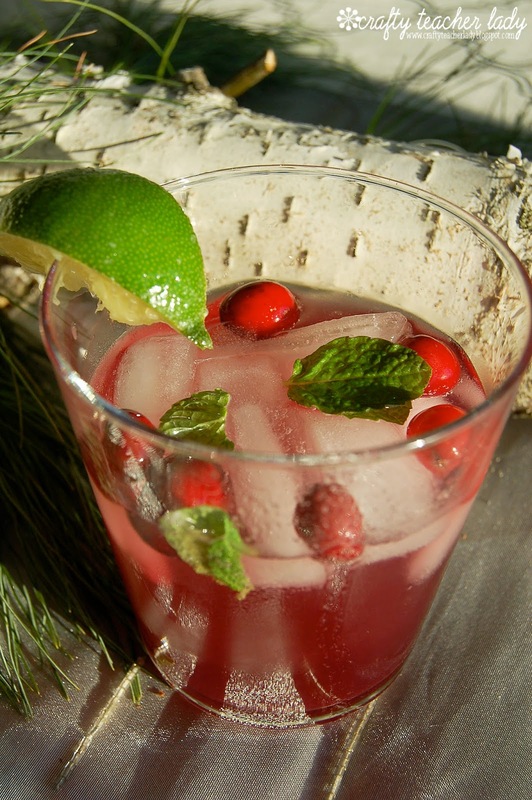 The green of the mint and lime alongside the red the cranberries makes this so pretty and festive! Some of the other punch recipes I found seemed like they would be far too sweet so I was pleased that the sweetness of this punch can be altered by the amount of seltzer water added to the mix. In addition to the preggos, we've got vegan, gluten-free, and Paleo dietary restrictions in the group so finding foods to serve that everyone can eat can sometimes be a challenge! 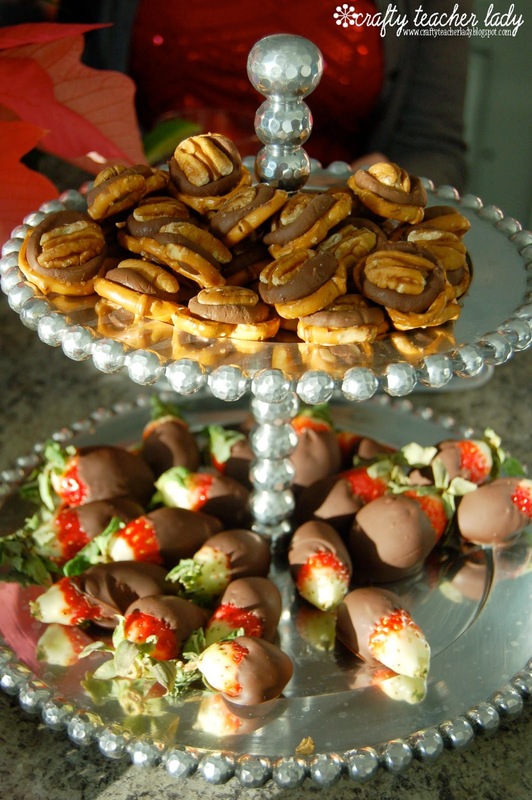 For snacks, I served chocolate caramel pretzel turtles (using gluten-free pretzels) along with dark chocolate-dipped strawberries! 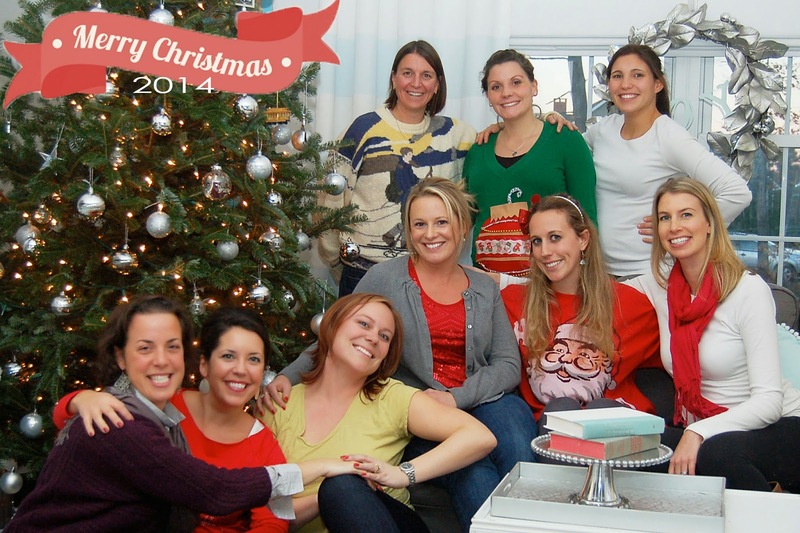 I'm so blessed to have such great colleagues who have also become such great friends! 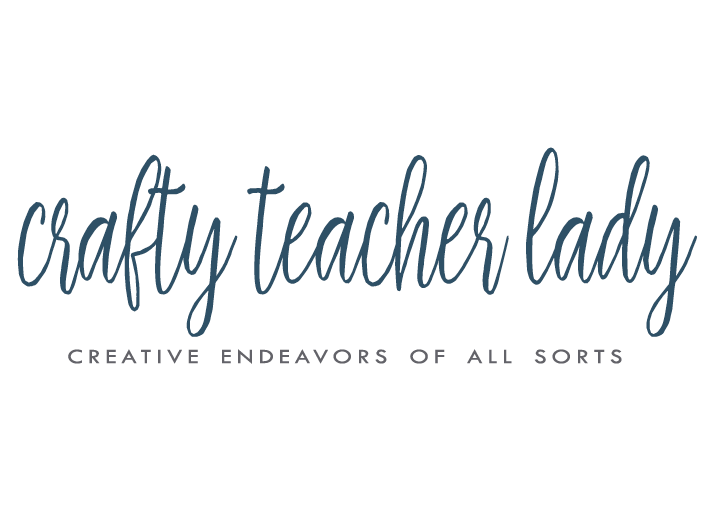 It's nice to have people in my life who 'get' what I do professionally but are also super fun to hang out with! I have no doubt that this little gathering will become an annual tradition we will all look forward to with each passing year! Merry Christmas!